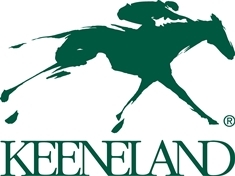 Located in the heart of Central Kentucky’s Bluegrass Region and surrounded by many of the world’s most prominent horse farms, Keeneland is unique in that it plays an important role in Thoroughbred breeding and racing. As the world’s largest Thoroughbred auction house, Keeneland is the preeminent market for yearlings and breeding stock and conducts three sales annually (September Yearling Sale, November Breeding Stock Sale and January Horses of All Ages Sale). Keeneland has sold more champions and stakes winners than any other auction company. Graduates of Keeneland sales include 19 Kentucky Derby winners; 21 Preakness winners; 18 Belmont winners; 11 recipients of the Eclipse Award as Horse of the Year; and five Epsom Derby winners. In 2014, Keeneland’s gross sales totaled $535,654,700 for 6,396 horses. The average price per horse was $83,748 and 32 sold for $1 million or more. In 1985, Seattle Dancer sold for $13.1 million, a world record for a yearling. Each April and October, the world’s best Thoroughbred owners, trainers and jockeys converge at Keeneland to compete for some of North America’s richest purses. Anchoring the Spring Meet are the $1 million Grade 1 Toyota Blue Grass Stakes and $500,000 Central Bank Ashland Stakes, prep races for the Kentucky Derby and Kentucky Oaks, respectively. Keeneland’s Fall Meet opens with Fall Stars Weekend, featuring nine graded stakes, led by the Grade 1 Shadwell Turf Mile, Keeneland’s first million-dollar race; Darley Alcibiades (G1), Juddmonte Spinster (G1), Claiborne Breeders’ Futurity (G1) and First Lady (G1). These races have served as a springboard to success for many horses in the Breeders’ Cup World Championships. Keeneland will host the 32nd Breeders’ Cup World Championships on Oct. 30-31, 2015, marking the first time that Keeneland will host Thoroughbred racing’s season-ending championship event. Keeneland has rich and longstanding ties to the Breeders’ Cup. Eighty-two Keeneland sales graduates have won 88 Breeders’ Cup races, including Breeders’ Cup Classic (G1) winners Wild Again, A.P. Indy, Curlin and Zenyatta. A number of other prominent champions raced at Keeneland prior to their Breeders’ Cup wins, highlighted by two-time Breeders’ Cup Mile (G1) winner Wise Dan, the reigning two-time Horse of the Year, and two-time Breeders’ Cup Filly and Mare Sprint (G1) winner and multiple champion Groupie Doll. Today Keeneland is a privately held company with a not-for-profit mission. Earnings are reinvested in higher purses for horsemen, maintenance and operation of Keeneland’s facilities, equine-related research and promotion, and charitable contributions. The Keeneland Library is a public research/reference library that is one of the world’s largest repositories of information related to the Thoroughbred. The Library houses nearly 20,000 books, approximately 250,000 photographic negatives and thousands of newspaper and magazine articles about Thoroughbred racing. Keeneland continues to fulfill the mission of its founders by being an active citizen of both the horse industry and the Central Kentucky community. To date, Keeneland has contributed nearly $20 million to charitable and equine-related programs in the areas of health and human services, education, arts and culture, animal welfare and historic preservation.